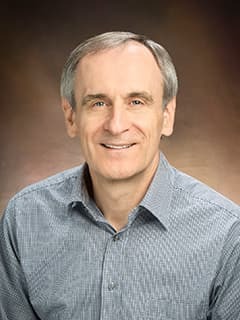 Led by Gerd Blobel, MD, PhD, researchers in the Blobel Laboratory are studying the genetic and epigenetic control of hematopoesis in normal and malignant cells. The goal of the research conducted in this laboratory is to gain insights into the transcriptional control of normal hematopoesis in order to identify drug targets that can be used to develop new targeted therapies for the treatment of pediatric hematologic cancers and non-cancerous blood diseases. Role of microRNAs in epigenetic silencing of the CHD5 tumor suppressor gene in neuroblastomas. Oncotarget. 2016 Feb 16. Naraparaju K, Kolla V, Zhuang T, Higashi M, Iyer R, Kolla S, Okawa ER, Blobel GA, Brodeur GM. Corrigendum: Dynamic enhancer-gene body contacts during transcription elongation. Genes Dev. 2015 Oct 15;29(20):2217. Lee K, Hsiung CC, Huang P, Raj A, Blobel GA. Dynamic enhancer-gene body contacts during transcription elongation. Genes Dev. 2015 Oct 1;29(19):1992-7. Lee K1, Hsiung CC2, Huang P1, Raj A3, Blobel GA2.